Celebrate Mother's Day by RACING... ~ in honor of your mother ~ in memory of your mother ~ with your mother ~ because you're a mother or JUST BECAUSE YOU CAN!!!! 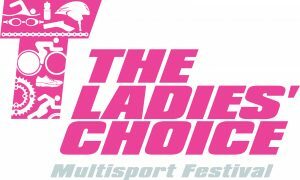 RACE CATEGORIES INCLUDE: TRIATHLON ~ DUATHLON ~ AQUABIKE ~ AQUATHLON ~ TRI-RELAYS Age 10 through ADULT welcome to participate. This is a super sprint triathlon, which includes very short distances in each of the 3 sports: 400m swim 8mi bike 2mi run. These distances are about 2/3 of an average sprint triathlon: Great race for first-timers and experienced triathletes to have fun racing to the finish on our short, flat course. Age 10 through ADULT welcome to participate. *Time listed is approximate. Race will begin after the completion of Kids Tri Too 2 (which begins at 7:15). This is a super sprint distance triathlon. It's a great place to try multisport so that you can learn first-hand just how much fun it is to participate in multi-sport events! And if you've got some tri-experience, take the opportunity to go your all-out best pace. Our super sprint distances and flat course make going fast fun! Join us as we enjoy going back to the venue where Tri It Now began...back in 1998!! 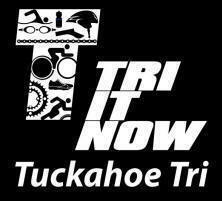 Anyone remember our first triathlons beginning in the Tuckahoe pool? We challenge you to work toward accomplishing your dreams... this triathlon is a starting point: one tenth of iron distance Age 10 through ADULT welcome to participate. 221 queries in 2.419 seconds.